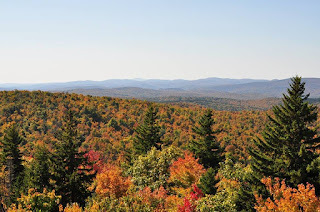 Groton State Forest, over 26,000 acres of new-growth forest, is just one of the many areas managed by Vermont’s Department of Forests, Parks and Recreation for multiple uses. Located in the southeast corner of Vermont's Northeast Kingdom, the Forest is sandwiched between Route 2 in Marshfield and Route 302 in Groton. Full of a variety of flora, fauna, wetlands, and mountains, the Forest is a fun-filled, fabulous place to visit. Groton State Forest provides not only valuable natural resources such as timber and wildlife, but also an inordinate amount of recreational opportunities all year long. Since the late 1800s, people have been drawn to the area to pursue various leisure activities. Fishing and camping during the spring and summer and hunting and trapping during the fall and winter. Not much has changed today. The main exception is their mode of transportation. Instead of the loud, smoke-spewing Wells River-Montpelier train chugging through the heart of the Forest, people now access the many trails and campgrounds via Route 232, the road started by the young men of the Civilian Conservation Corps back in the 1930s. For just a dollar a day these men came here to work, financially assisting their families (their families received $25 a month, the men kept $5) while conserving and protecting our nation's resources. Remnants of their work still exist today. They built pavilions and fireplaces for the public to enjoy. They helped in reforesting the Forest. The men of the CCC were vital in making the Forest what it is today. Nowadays, people of all ages and abilities can enjoy the beauty and serenity of Groton State Forest. So many, many opportunities await you and your family or friends. 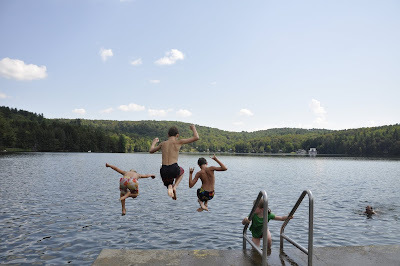 Take the kids for a swim at Boulder Beach State Park. Hike or bike along the nice and level Rail Trail. Enjoy the panoramic view of the Forest from atop Owl’s Head. Explore nature on your own or join in exciting activities with the knowledgeable naturalists at the Groton State Forest Nature Center. Watch out for moose or listen for loons, just a few of the fabulous critters inhabiting the Forest. Summertime is full of the hustle and bustle of hikers, bikers, boaters, fishermen, photographers and campers. The Forest offers a varied selection of campgrounds. 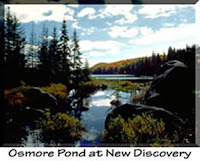 Ricker Pond, Stillwater, Big Deer and New Discovery all accommodate tents, campers and RV's. Swimming and boating are also available at Ricker Pond and Stillwater. New Discovery has horse camping and remote sites for those who wish to get away from it all. Looking for a quieter experience? Try late spring or early autumn camping. The campgrounds are open, the kids are in school and you will get your choice of prime sites. If sleeping on the ground doesn't intrigue you, there are also cabins available in the Forest. For the less hardy nature lover or the fly fisherman, give Seyon Lodge a call. Seyon Lodge, on Noyes Pond, is a bed and breakfast type facility that is open year round. Autumn is a quiet time in the Forest. The crisp, cool air is perfect for hiking. Remember to dress in bright colored clothing when hiking in the fall. As the leaves fall and the campgrounds close, the Forest opens up for hunters. Hunting is a tradition that dates back to the beginning of time. It’s a way to keep the herds healthy and families fed. As the days grow shorter and the snow flurries fly, the Forest is once again alive with activity. Snowmobiles travel along the VAST trail. Cross-country skiers glide along the freshly fallen snow. In the distance you may hear the excited yapping of a dogsled team getting ready to leap and bound over the frozen ground. Within Groton State Forest you may find a quiet spot to reflect or a place bursting with excitement. You may find the perfect photo op or the perfect fish. Whether you want a family reunion or a lovely get away, remember the Forest. 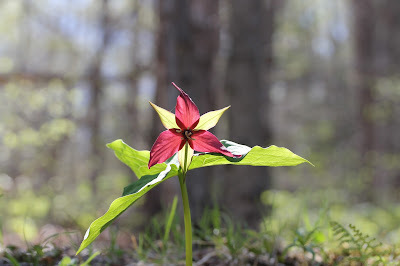 Whatever the season, whatever your reason, come into the Forest and reconnect with life. There’s something here for everyone. I'm bringing my cell phone and I'm getting on the Internet regardless of how slow a pace your state park runs at. Where can I find a bird list for Groton State Park?